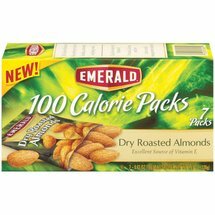 Well, today I have absolutely nothing inspiring to blog on...maybe I do but I just don't feel inspiriation through my magical typing fingers so you get a blog on my new favorite snack...dry roasted almonds! Yum Yummy! Try them...your life will be changed. p.s. I am in no way being paid monetarily to blog about almonds. I have no contract with emerald and receive no perks to saying my love for them. Just in case you were thinkin' otherwise. Hey Ashley and other bloggers! Wow those girls are awesome. I need some prayers! I thought this would be a good one to post under, as it doesn't have any comments yet. Ashley, do you have any ideas?